Premiums for medical insurance or life insurance can run into the hundreds each year or, if you’re a bit older, thousands. That’s why it’s so worthwhile signing up for a credit card that rewards you when you use it to pay your insurance premiums. Insurance isn’t our idea of retail therapy. In a best case scenario, you don’t use your insurance policy, which means that you paid insurance premiums for nothing. In a worst case scenario, you get to use your insurance policy, but it also means that you landed in hospital, got diagnosed with a terrible illness or died. But since paying for insurance premiums is inevitable, it’s best to pay them with a credit card that allows you to claw something back. Insurance premiums are often excluded from credit cards’ cashback, air miles and rewards programmes. Even if your credit card promises to reward you for every cent you spend, insurance premiums might be excluded. The easiest way to find out is to read your bank’s Terms and Conditions sheet on the credit card’s benefits. Often, googling [name of credit card] + [terms and conditions] will throw up the relevant PDF document, saving you from having to wade through the bank’s website. There will almost always be a list of exclusions that do not qualify for their cashback/miles/rewards. Check if insurance payments are one of them. 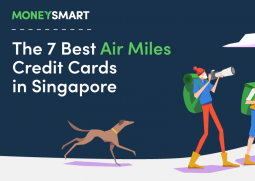 American Express KrisFlyer Ascend $1 = 1.2 miles 5,000 bonus miles with your first transaction & 15,000 miles with $6,000 spend (within first 3 months) + 15,000 miles with $6,000 spend in the 4th to 6th month. 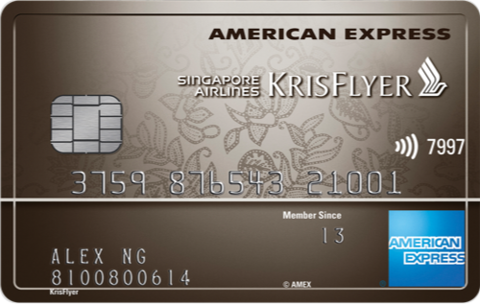 American Express KrisFlyer $1 = 1.1 miles 5,000 bonus miles with your first transaction & 7,500 miles with $3,000 spend (within first 3 months) + 7,500 miles with $3,000 spend in the 4th to 6th month. This card gives a maximum of 5% cashback on all your spending, including insurance payments. 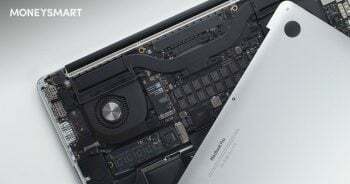 If that sounds too good to be true, well, it is if you’re a low spender. 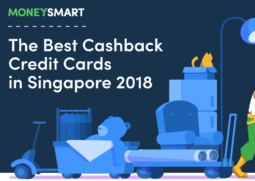 The card’s income requirements might be an entry-level $30,000, but if you don’t earn enough, you probably won’t be able to afford to consistently hit the maximum cashback tier. To qualify for the top tier of up to 5%, you’ll need to spend at least $2,000 every month in a quarter. Miss the minimum spending in one month and you’ll lose your cashback for all three months. Still, if you can easily spend that much in a month, go ahead and charge your insurance premiums to the card. At the end of the year, you have to spend an extra $1,000 on insurance premiums, bringing your total spending in December to $3,000. You spent $2,000 in October and November. That means you qualify for the top cashback amount, which is $300 for that quarter. 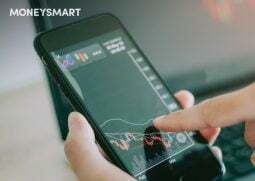 Your total spending for the quarter being $7,000 (including insurance payments), that means you earn the equivalent of 4.29% cashback on your insurance as well as everything else. You can earn a high rate on insurance payments on the Amex KrisFlyer Ascend Card and you also instantly receive 5,000 miles the first time you spend money on the card. Furthermore, if you spend $6,000 in the first 3 months, you earn an additional 15,000 miles. Keep spending another $6,000 in the 4th to 6th month and that’s another 15,000 miles. That means signing up for this card around the time the bulk of your insurance payments are due is a good idea if you spend a lot on insurance every year. Right after signing up for the Amex KrisFlyer Ascend, you spend $6,000 on insurance premiums using the card. Swiping your card for the first time instantly entitles you to a bonus of 5,000 miles. In addition, you earn 15,000 miles for spending over $6,000. 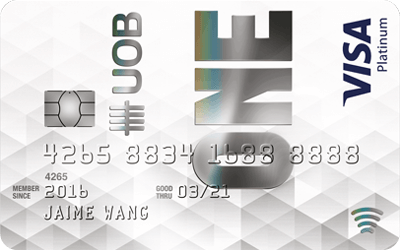 Finally, you will also earn 7,200 miles on that $6,000 according to the card’s usual $1 = 1.2 mile rate. So your $6,000 insurance payment nets you a total of 27,200 miles, enough for a one way ticket to Bangkok, Yangon or Hanoi. Which credit card do you use to pay insurance premiums? Share your recommendations in the comments! How Many KrisFlyer Miles Does it Take to Fly Free to London, Paris, Tokyo and New York?